Twenty-eight athletes who competed at the 2005 and 2007 World Championships have returned "adverse findings" from retested samples, the International Association of Athletics Federations (IAAF) has said. According to the world governing body, a large majority of the athletes are retired with "very few" still active. "The IAAF is provisionally suspending them," it said in a statement. There are no British athletes among those with adverse doping samples. The IAAF, which has been criticised after leaked blood test data was obtained by the Sunday Times and German broadcaster ARD/WDR, added that none of the athletes concerned would be competing at the 2015 World Championships in Beijing, which get under way on 22 August. None of the 28 can be named yet "due to the legal process". The 2005 World Championships took place in Helsinki, Finland, with Japanese city Osaka hosting the event two years later. If violations are confirmed the IAAF will correct the record books and re-allocate medals as necessary. Earlier this month, The Sunday Times said the results of 12,000 blood tests from 5,000 athletes between 2001 and 2012 showed an "extraordinary extent of cheating" by athletes at the world's biggest events. However, the IAAF responded by describing allegations of widespread doping in athletics as "sensationalist and confusing". The World Anti-Doping Agency's independent commission is investigating the claims. Last week, Russian Liliya Shobukhova, who won the London Marathon in 2010 and was runner-up in 2011, had her results since 2009 annulled for doping, following the conclusion of a long-running legal case. The Sunday Times then made further allegations that the London Marathon was won seven times in 12 years by athletes who have recorded suspicious blood scores. London Marathon chief executive Nick Bitel subsequently criticised the IAAF, blaming it for a "failure to take effective action". Samples taken at the 2005 Helsinki World Championships have been stored at a Swiss laboratory for the past 10 years. In 2012, the IAAF conducted its first round of re-analysis of urine samples. 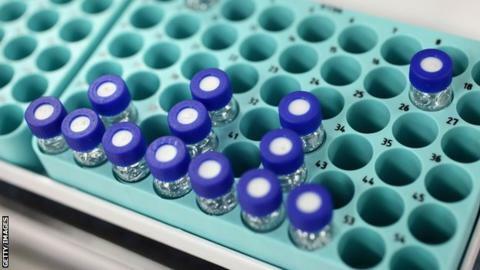 To date, nine athletes have been sanctioned following retests from various world championships. Advances in technology and the new 10-year World Anti-Doping Code provision meant that, from April this year, they could be re-examined for a second time. The IAAF said this process was already underway before the Sunday Times allegations. Sports Minister Tracey Crouch told BBC Sport that she is confident the British athletics scene is "clean". Speaking to Test Match Special during the Women's Ashes Test between England and Australia, Crouch said: "I'm confident that British athletes undergo such rigorous testing that hopefully, despite some of the allegations, none of our athletes will be caught up in it. "The UK anti-doping agency is one of the best, if not the best, in the world." Crouch added that current sanctions were tough enough for Britain not to have to criminalise doping, as other countries such as Australia.